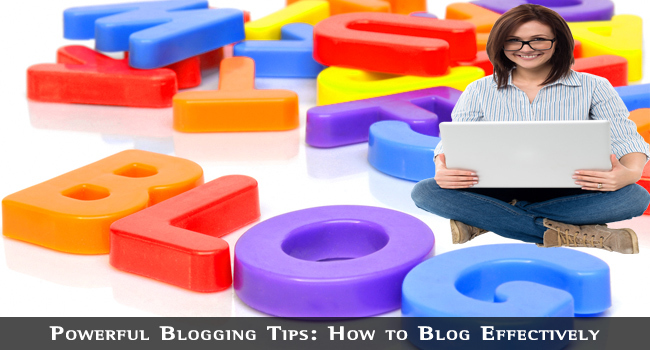 Here are some powerful blogging tips that will help show you how to blog effectively. They will be useful to beginners and experienced bloggers who need to know how to generate and retain a high readership. Knowing how to write powerful blogs is extremely important to any blogger, and while you will learn through time, these proven tips should help to sharpen your learning curve. I won’t waste time emphasizing how important it is to keep your readership interested, or how to find fresh material to write about. Let’s just get right into it with Tip #1. Incidentally, these powerful blogging tips are not presented in any specific order, so don’t assume that the more important ones will always be found nearer the top of the list. Although this might seem obvious, many people choose a topic because it seems popular or current. It is not possible to write time and time again on a topic you don’t know well – you will spend a lot of time researching online and end up regurgitating what others have written before you. Your writing will then likely be repetitive, stilted and boring. If you are genuinely interested in a subject, your passion will show through in your writing and people, will think “Hey, this guy knows what he is talking about” or “She sure knows her stuff – I’ll bookmark this blog and maybe follow it.” The vast majority of people have some interest or passion, and no matter what it is, others will share that with them. 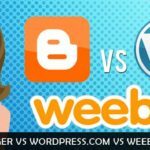 So blog for those that share your interest or even your passion, and do not just focus on any popular topic of the day. Don’t trust to Google to send you all your traffic – or Bing, Ask or any other search engine! Social networking sites are a rich source of potential visitors to your blog – so mine it! It takes time before Google will notice your blog enough to actually rank it where it can be found. It can be indexed very quickly, but getting your blog address listed on Google in the top 10 rankings takes a lot of time and hard work. Even though it is worth it, and you will eventually live long and prosper with a good search engine ranking, you should also work to get exposure on social sites. In fact, by having your blog address published on multiple networking sites, you will also accelerate that magical top 10 ranking you seek! Twitter, Facebook, StumbleUpon, Pinterest, Friendster – each is popular with its own followers. Even LinkedIn, which many regard as being a business site, can attract readers and also good Google ranking points. LinkedIn is relevant to any blogger who runs their blog as a business to make money. A YouTube video can work wonders for your traffic. Build profiles on each of these and link then back to a Google+ profile. You can then link your Google+ profile to your blog, and also to your name on comments to other blogs, forum comments or anywhere else you are permitted to add a link to your name, comment or post. This associates your blog with all of these social networking sites. Now you are getting traffic, you have just a few seconds to keep your visitors on your blog. Bounce statistics show that most people visit a web page or blog for less than 10 seconds: some even say 4-6 seconds. The actual figure is irrelevant: you must catch their eye immediately. This involves writing a compelling heading. If you are getting traffic from a Google listing make sure your post title is the same as the ‘Title tag’ in the HTML of your post or page. Your visitor would have clicked on the Title tag as displayed by Google in its listing. If a visitor finds something different when they visit your blog then they will likely click away. All bloggers should learn the difference between the title you write in your blog or post, and the title as it appears in your page source code (=what you see on your Google listing). Check out our post on Meta data for information on how to use the Title tag. If you provide visitors with what you promise with your heading then they will likely stay with you. They clicked on the link containing your keywords, and likely used these keywords to find it, so you must offer them what these keywords promised. But that is not all! Some visitors may have reached your blog by other means. It might have been recommended by a friend, or they may have clicked on your blog URL on your Profile on a social site somewhere. They might not have any keyword or title expectations, so you must also make your title compelling. Write a compelling headline, using no more than 56 characters. Statistics have indicated that around 80% of people will read the headline or title of a blog post, but only around 20% will actually read the post itself. If your title draws them in, then you win! Since many people might ultimately see your Google listing, then make sure you fully understand the importance of Meta data. Another important blogging tip: People want to belong. They want to feel part of your blog and its community of readers. One of the most powerful blogging tools is your ‘Comments’ section. It is also one of the most abused, but don’t let that bother you or stop you. Allow readers to comment and state their opinions. Respond to them – interact with them! Let them know they are noticed, and they will keep coming back, and learn to trust you. If your neighbor said ‘hello’ to you every time you met, and eventually asked you in for a drink or a meal, then you would feel more for them than others who ignored you. Same with comments: respond, say hello and thank them, but don’t be afraid to set up a discussion if you disagree with their comments. Be neighborly, invite them into your blog and then talk with them. You will find that you will retain many more readers than if you ignored their comments. They are trying to communicate with you, so communicate back. Going back to misuse of comments, it’s very important to regulate them and delete any that appear to be spam. Unless they refer directly with the content of your post, they are likely to be spam – so delete! More on this later (Section 11) when we discuss comment spam. It’s important to understand who your audience is. You can’t write for everybody, and it is easy to get too simple or too technical when blogging. It’s not so easy to keep everybody interested and involved. You cannot speak to everybody at their own level, so don’t try to. In fact, do not try to address everyone – just one person. Make everybody that reads your blog feel that you are writing for them. Use words such as ‘you’ and ‘we’ and write as if you were speaking to just one reader. For example, if you are writing a post relating to making money online, you could say something like “Are you making any money from your blog? If you are, are you making enough?” That will arouse interest, and you are speaking directly to each individual so they feel involved. 6. Listen to Your Readers: Participate and Gain Their Trust! Allow your readers to become part of a team: hang out with them and discuss things with them. Let them blow off steam about their pet dislikes, and help them solve their problems. Listen to them and let them have confidence in you. If you have a Google+ profile, add them to your Circle and invite then to a Hangout. Make them feel involved! What are your readers commenting about? Are there any rants you can expand upon? Have any asked questions or have problems you can develop into posts? Does there seem to be a trend among their comments that you can express in your own words and embellish? By listening to your readers and responding to their issues you will build a band of brothers and sisters who will ultimately help each other, and your influence will be more as a moderator than running the show. There is no reason why blog comments cannot work in the same way as a forum. People stay faithful if they feel part of a community – add regular fresh content and perhaps new issues to the mix, and you should have a winning combination. Don’t just manage your blog – participate in it! Gain your readers’ trust and confidence, and when you come to recommend a product you genuinely believe will help them, they will trust you and buy it. Another aspect of building trust and a community spirit is to show that you are human and not an omniscient being. Ask them questions – ask for their advice if you have a problem, personal or technical. You might be surprised at the positive reaction that will stimulate. You, the blogger, are asking your readers for help and advice! You are really whipping up a team spirit there! Keep it to the Comments though, and no PMs. People don’t want left out, and PMs make people feel left out. If you need help they will help you in an open and frank manner, and even the suggestions may boil up a frenzy of activity with agreement and disagreement. Controversy leads to more publicity, and Google will help you by reacting to all this fresh content. Higher rankings = more traffic = more discussion = higher rankings. Figure it! Forget the Gobbledygook and techno speak: write in plain English or whatever language you normally use (except Gobbledygook and techno speak!). One way to put potential readers right off your blog is use language they cannot understand. If you have a technical issue to explain, then express it in easily understood plain language. Dihydrogen monoxide is water – don’t make things more difficult for your readers through trying to show how clever you are with your writing! It’s not you and them – it’s you WITH them! Keep it simple, keep it clear and keep it honest! Allow your readers to be your partners. A good tip is to talk about your niche, and particularly about the post you are about to write. Record what you say, and then transcribe that to your post. It will appear a lot more natural to your readers than if you had taken time to think of how to express yourself on paper – or screen! If you want to make money from a blog, then you need a means of communicating with people outside of the blog itself. You need to be able to target people with specific interests and needs, rather than always communicate with your broader blog community. You can achieve this by building an emailing list – in fact, in many cases you could build more than one list, each focusing on a specific aspect of your blog’s theme. For now, let’s focus on just one list. If you register with an autoresponder you will be able to publish a registration form on your blog to collect the contact details of interested visitors. This is too large a subject to be discussed here, but we have published a blog post that explains how to build email lists here. Click on the image for more information on list building. Once you have a list of readers interested in receiving more information from you about your niche or topic, you can email these people with expanded information about the niche, hints and tips, and, occasionally, product offers. People need to see your offers separately from your blog, and have the time to consider them. An email allows this, because blog posts tend to disappear as you write fresh content. Not only that, but you can provide extended information about the products you are selling, and stress the benefits they will get if they use them. Ultimately, after several exposures to the product, many people purchase them. It’s like TV advertising: multiple exposures develop a need for the product! Subscription forms are not difficult to generate and maintain – autoresponders do all the hard work. You can collect names and email addresses, and then program emails to be sent out to responders at set days after their registration. You do nothing but write one email for each day: the autoresponders sends it. You can send out parts of a course at regular intervals or even email your entire list in one go. Try to sell products on your blog and you will lose your readers. Unless you make it very clear from the start that your blog will be reviewing products and offering sales links, it will have a very short life. Sure, some people are looking for advice to help them with a problem, and will perhaps be amenable to buying a product if it will solve that problem. However, these are few and far between. Most people visit blogs to get information. Some read blogs to take their mind off their daily problems, and other might just be looking for an online community they can become part of. People visit blogs for many reasons, which is why you should make it clear from the start what your blog is about. It’s OK to offer an occasional product if readers ask you for advice, or if they have a problem that this product could solve. However, a blog is not a sales page, so leave the sales pitches to your sales pages! That’s what your email list is for. Even there, you should approach sales by proposing a problem with which some of your readers might identify. Then propose the product as a potential solution, along with evidence to support that. Do not use your blog as a sales platform, other than offer adverts for products that relate to your niche. That’s fine, so long as you do not keep pushing the products or services advertised. Your readers expect that, but they don’t want products shoved down their throats whenever they visit your blog. The most common form of spam with blogs is comment spam. There are many different software packages available to hunt out blogs online and automatically comment with generic text such as “Great blog – keep up the good work” or “I am impressed with this information” – followed by a link to their web page. It is spam, and used to automatically generate backlinks from your blog. It is extremely important that you detect this and delete it. If Google finds links on your blog to known spamming sites, or links to adult or pharma sites, then forget high rankings – your blog might even be deindexed. Check out our comment spam prevention techniques post. 12. Don’t Just Write: Plan It! Don’t just write your blog post with whatever comes into your head. Many people try to do this, but those that can do so effectively are very rare. Plan your post. Draw up an outline first – the main topic of the post, and then why it is being written. Why are you writing this and what message are you trying to get across? What do you want readers to get from it, and what aspects of the topic should you cover to make sure you achieve that? Many bloggers get writer’s block because they are unsure of the flow of the post – what they are trying to say, and how they should say it. Get a pencil and paper (remember these?) and write down your main objectives. Then write down some of the ways to achieve these objectives. You might even be able to expand that further on paper to travel beyond your original thoughts. If you immediately start typing, you tend to be focused on your typing rather than on your thoughts. By taking your time, you can develop a proper focus for the blog, and meet your objective in a rational fashion. Once you have the detail of the post worked out, you can use some of that for your introduction and some for your final paragraph. Then flesh out the body with some bullet points and description and you are done. This approach will not only make your post more readable, but you will also find that you are more successful in making your point, that the post offers value to your readers and that you get a longer retention time on your page. This often translates into more options for your email list and more clicks on other links on the blog. Ultimately, more money! Other than your most faithful readers, visitors to your blog will tend to scan it rather than read every word. Nothing is more sure to catch their eye than bold text and bullets. If you have a real point to make, then make it in bold and italics. There seems to be a psychological pull towards bold text and italics with most people. If they see any text formatting out of the ordinary they immediately believe it to important, so the scanning stops! Use text formatting to bring any particularly or controversial point to the attention of scanners. If you are scanning this now, I bet you stopped here to read this very interesting analysis of what you read and do not read! Having stopped to read this, you should now go back to the beginning of this post and read it all – you will learn many things you may not have given though to previously. Nobody knows everything, and you are no exception. If you want to become better at writing blog posts then keep reading posts like this on TechLila and other blogs. Do so with an open mind, knowing that you have a lot to learn. If you don’t understand a particular point then ask about it in the Comments (make sure your name is linked to your Google+ profile). By doing this, you will not only learn more about your niche, but will also get some good ideas for posts of your own. Never copy anybody else’s post, but you can write on the same topic in your own way. Like any other post you write, make sure you research the topic well and that all the facts you offer are genuine and provable. Plagiarism will cost you dearly with Google, so never copy anybody else’s content. Following on from #14 above, what is permitted, where relevant, is for you to disagree with other posts. You can refer to the post and then offer your take on the issue, providing reasons why you disagree and what your own opinion is. Controversy can be addictive to many readers, and by developing a discussion online you can generate a great deal of traffic. If you spot the potential for a discussion on another blog, you could start it with a comment on that blog. If you are lucky, others will become involved and you could introduce a link to your own blog in your profile, linked to your published name on your comment. This link may or may not be permitted, but it’s worth a try. If not, you can publish a post discussing the controversy. Following on from #15, some bloggers offer the alternative of a forum or discussion board on their site. There is free software available to enable you to set up your own forum or discussion board. There are several free software applications available online enabling you to do this. By offering a forum on your blog, those with a specific interest in a particular post can set up a forum thread on that topic. This is not something that many bloggers become involved in at the moment, and there might be an opportunity for you to get started before this becomes more popular. What reaction would your readership have to being offered a forum on your blog site? It is one of these lateral thinking ideas that could give you a kick ahead of your competitors. It might work or it might fail, but it will cost you nothing – might even get you more readers! There is one drawback to a forum, however: you must moderate it. If you have the time do so, it could be an interesting addition to your online presence. 17. Don’t Rush the Publishing! Too many people cook up a quick post and publish it immediately without too much thought. They may have tried to whip up some controversy or other, or reacted to a comment with a post. Never publish a post without leaving it a while. Even if you took your time writing it, any written work looks different once you relax, wait and read it over. You can publish something, read it and stand back aghast at what you had written – particularly if you had been in a bad mood or annoyed at something you had just read. Horrified, when you go back in and edit it immediately you can be sure that enough people had read to give you grief! So never, ever, publish a post until you take some time off it – even if just 5 minutes – reread it, and then publish it. You can carry out any editing without giving anybody the opportunity to catch you at your worst! Every professional writer in the world knows this, yet even they sometimes let something go they would rather have edited. When you write or even check over a post, make sure that you can see some value in it for your readers. Never write just for yourself, and never express your personal opinion on current affairs unless that is the subject of your blog. Each post should try to teach your readers something, or at least provide them with information that is new to you, or that you believe will be new to them. People visit your blog because it interests them. For many that means they learn from it, or at least get some useful tips. Sometimes these tips might not adhere to your own personal beliefs, and if that is the case there is nothing wrong with you stating that – but let them ultimately decide for themselves. Nobody likes being dictated to or told that they must agree with all you say. However, if you offer information and then offer them the opportunity to respond to that with a comment, they will happily disagree with you and return to find your response. So give them value: Information, hints and tips or even the chance to have an argument or discussion with you, and your readers will stay with you. Many visit some blogs only because they get to state their case or say their piece, or even because they look forward to a good discussion or argument. So give them that if it is relevant to your blog. Whatever your niche is, keep up with the latest news. If you are blogging about SEO, follow the Google official blogs, follow Matt Cutts (Google’s web spam guru) and follow some of the unofficial sites such as Moz. The same is true for any other niche you are blogging about. Find out the best news sites and follow them. This will enable you to blog about new issues as they arise, rather than retrospectively – after all the other top blogs on the subject have covered them. If you are in the forefront of the news, then your readers will keep following you and your readership will increase every day. Visitors will get to know that yours is the ‘go-to’ blog for news in their niche. There are a few SEO plugins available for WordPress blogs, but we specifically recommend the WordPress SEO by Yoast Plugin. 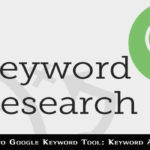 This enables you to set your Title tag and Meta description tag along with an analysis of your use of keywords along with several other useful SEO measurements. Yoast provides a traffic light system for your SEO, your objective being green. A good SEO plugin such as Yoast enables you to optimize your website for Google to the best of your ability without requiring specialist knowledge. 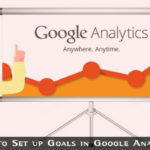 Google Analytics is a comprehensive suite of analytical scripts that enables you to follow the traffic on every page of your blog. It is free to use, and all you need do is to upload the Google Analytics plugin to your blog. Its benefits are too vast to discuss here, so check out our post on this excellent application here: How to Install Google Analytics. Register with Google Webmaster Tools and submit your blog. This will give you an immediate increased likelihood of having your blog quickly scanned and indexed by Google. While nothing is certain with Google, following its recommendation to register is sure to improve the potential for an increased ranking for your blog. Once registered, submit an XML sitemap: the Yoast SEO plugin provides you with a sitemap, along with its location so that you can tell Google where to find it. This makes sure that every page and post on your blog can be scanned by Google and is liable to be indexed and listed. No matter how well you think your blog is doing, remember that people matter more than statistics. 1,000 unique visitors each day looks great, but keep in mind that every one of these is a person. Each is a person that thought it worthwhile clicking to visit your blog. So make it worth their while – give them what they want – never disappoint them – and never take them for granted. People are the lifeblood of your blog. Without them there is no blog. Keep that in mind every second you are writing for them, and every second you check over what you have written. When you are happy they will enjoy and benefit from it, then publish it – never before! Never!! Our final tip is to enjoy yourself. Blogging should be fun, not a chore. If you enjoy what you are doing, then that will show in your writing and they way you interact with your readers. If writing and interaction are equally important, so too is the way you approach blogging. Have a great time and give your readers a great time – that’s what it’s all about! So that’s it – we stopped at 24. If you can add even more powerful blogging tips, or want to take issue with or add to these 24, then feel free to comment below. We welcome negative comments as well as positive ones. The negative helps us to improve, and the positive gives us the incentive to improve and learn more about how to blog effectively.